Quiz-Quiz-Trade is a student favorite! 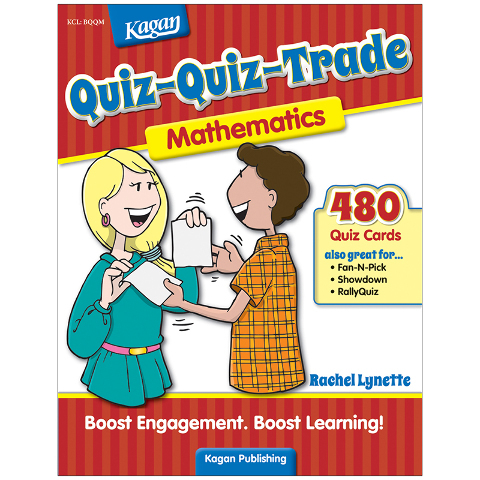 Transform need-to-know mathematics curriculum into a fun and interactive quizzing game. Keeps everyone engaged. Each card set includes enough cards for your entire class. 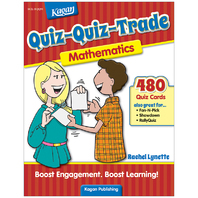 Card sets include: area and perimeter, balancing, big numbers, converting fractions, interpreting remainders, equivalent fractions, factors, word problems, ordering decimals, order of operations, place value, rounding, simplifying fractions. 192 pages.